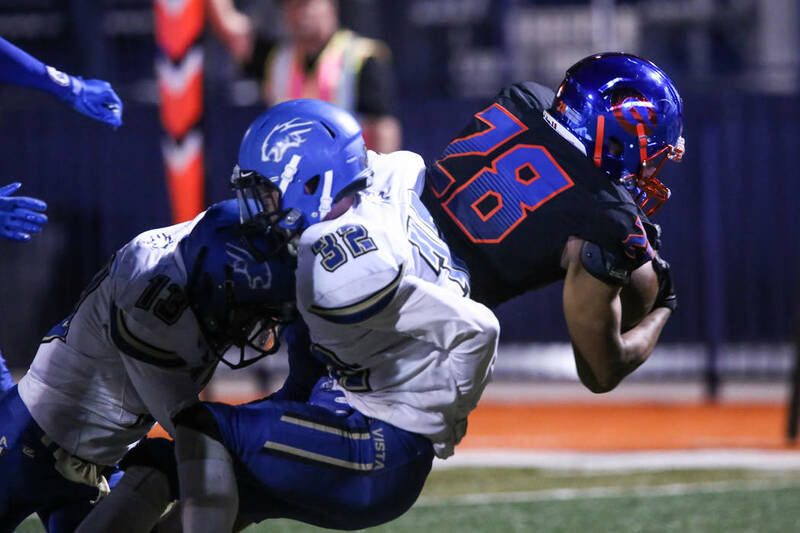 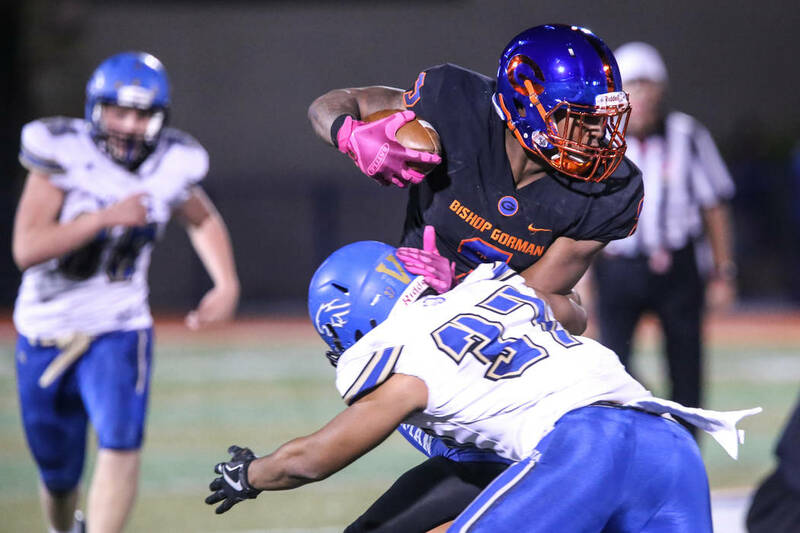 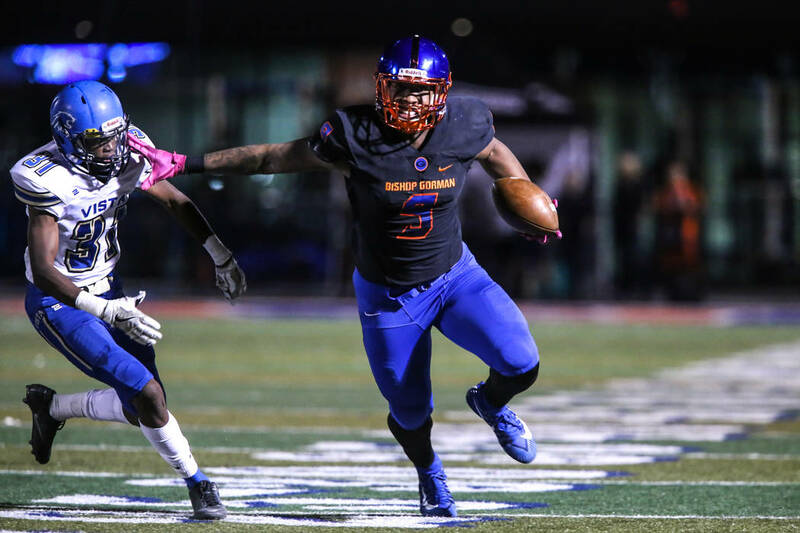 Bishop Gorman coasted to a 43-0 victory over Sierra Vista on Thursday night and has shut out all six of its in-state opponents this season. 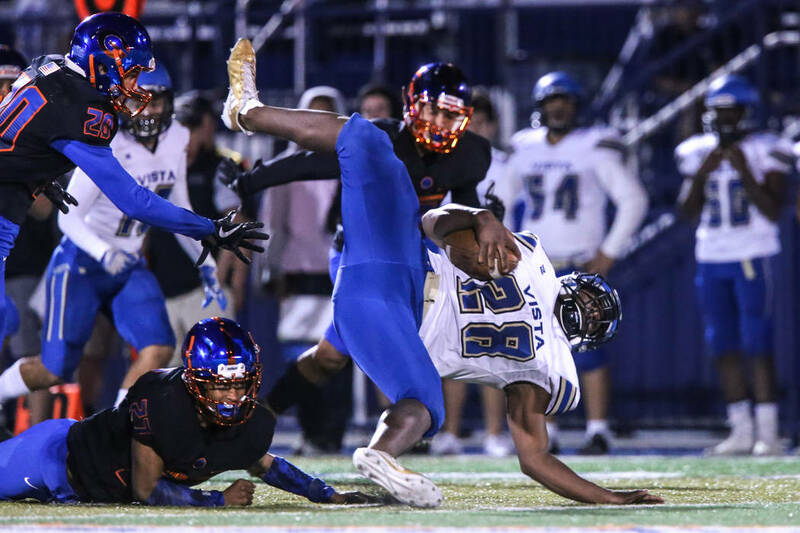 Perhaps in a parallel universe, there might be a bizarro Southwest League team that would have scored against Bishop Gorman during the football season. 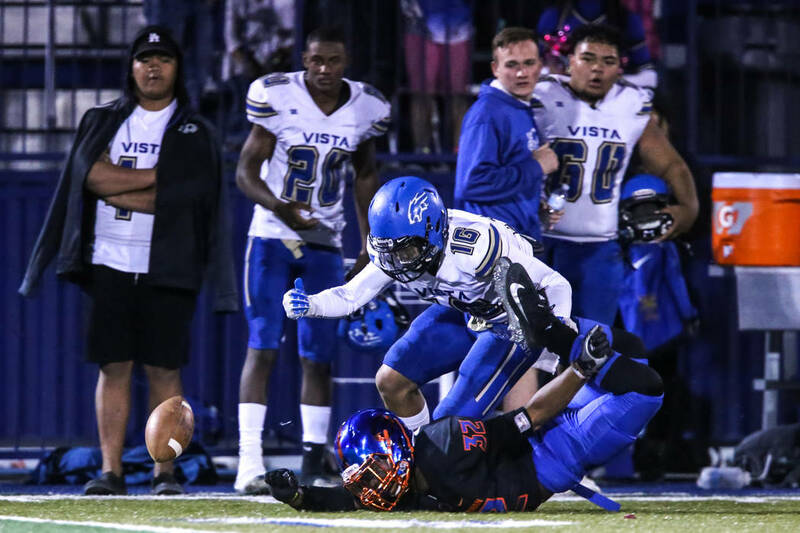 But there wasn’t one in Southern Nevada. 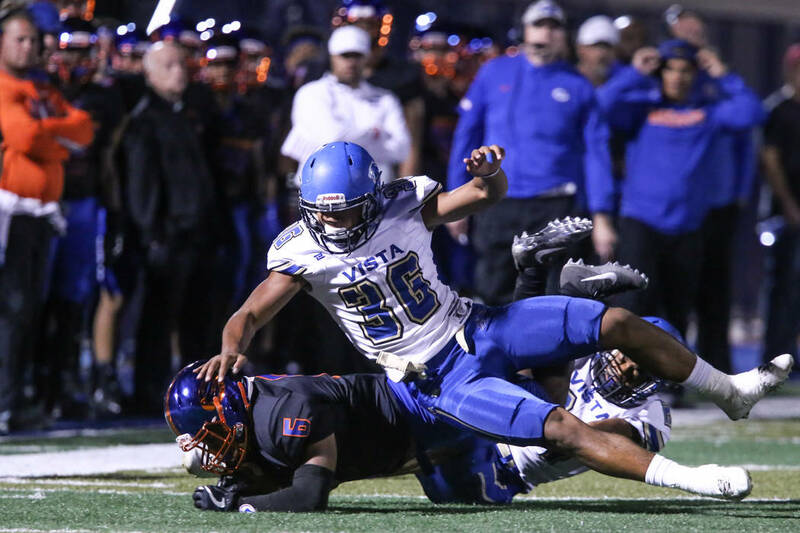 The Gaels cruised to a 43-0 win over Sierra Vista on Thursday night at Fertitta Field to clinch their 11th consecutive conference title and sixth straight shutout against in-state competition. 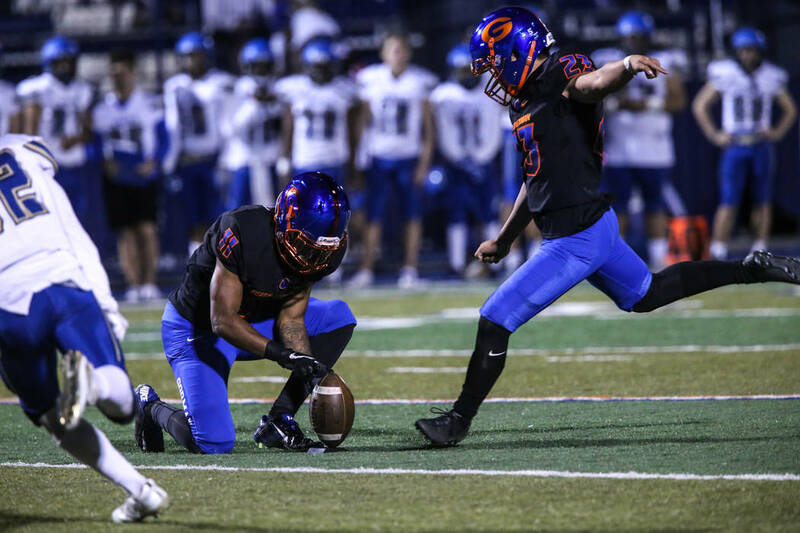 They are 8-2 overall and 6-0 in the Southwest League. 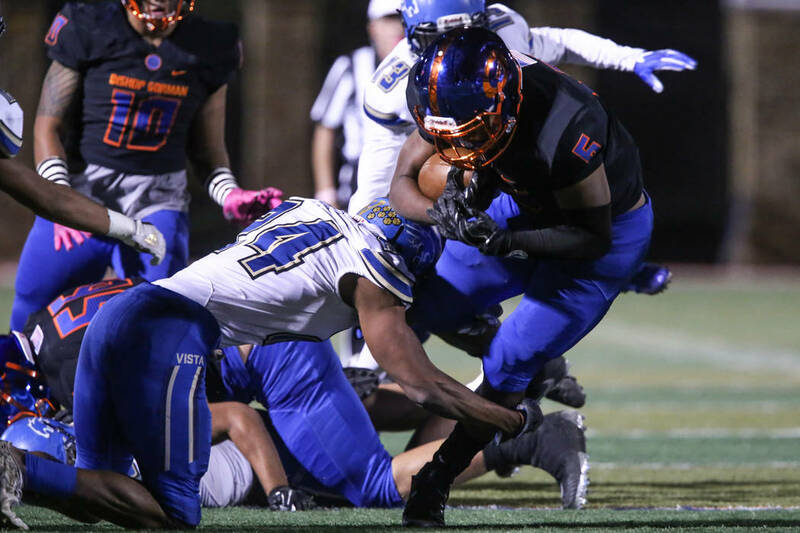 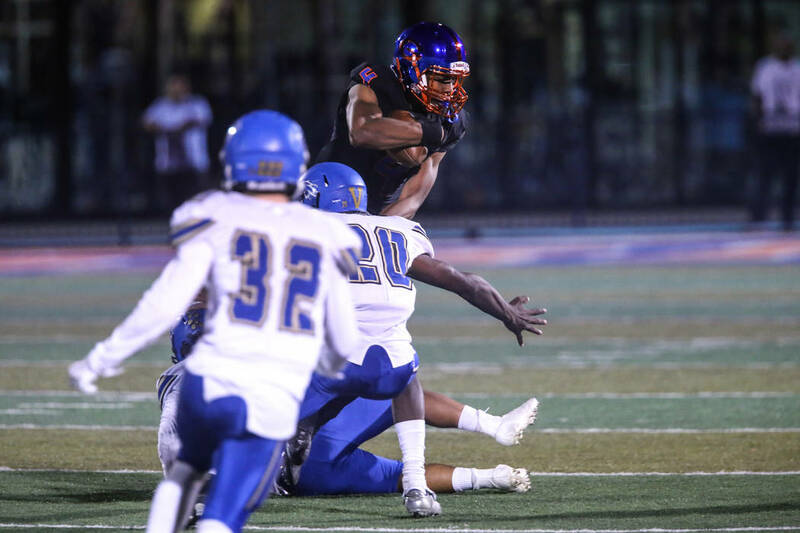 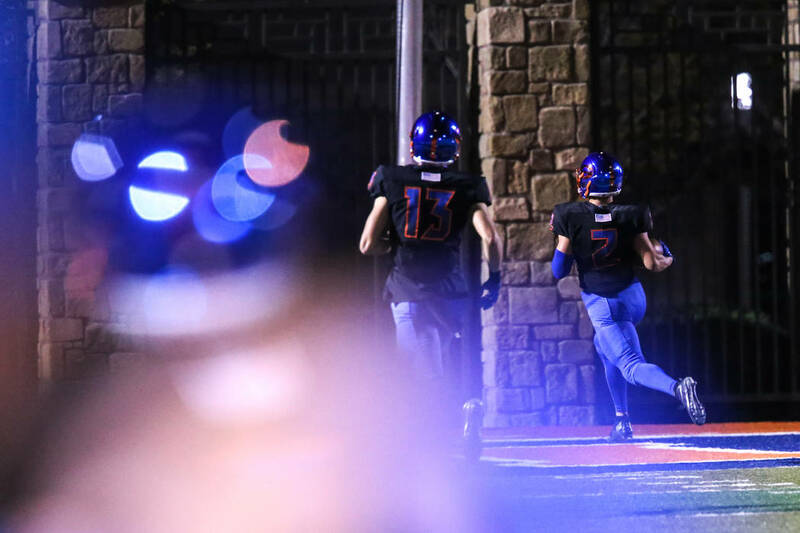 Gorman running back Amod Cianelli ran for three touchdowns, and quarterback Dorian Thompson-Robinson threw for two, paving the way for the Gaels’ destructive defense to do what it has done to local teams all season. 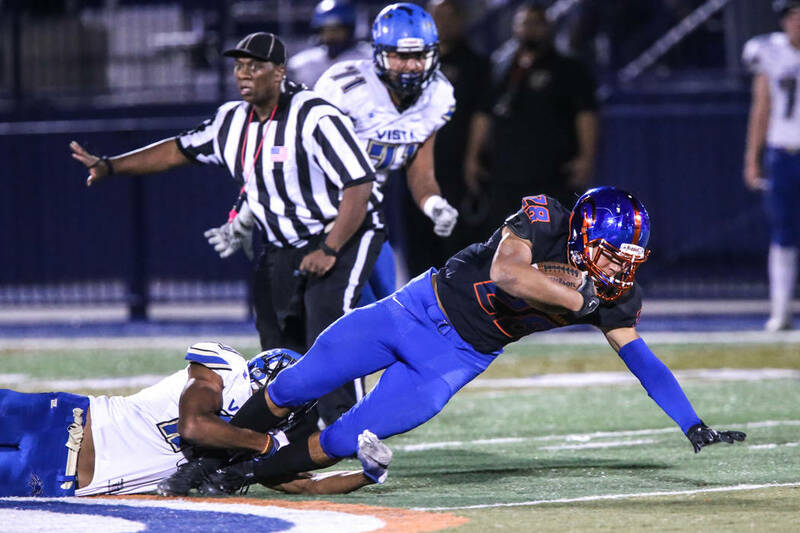 “It kind of took a life of its own,” Gorman coach Kenny Sanchez said of the shutout streak while noting the Gaels’ freshman and junior varsity teams didn’t surrender a point, either. 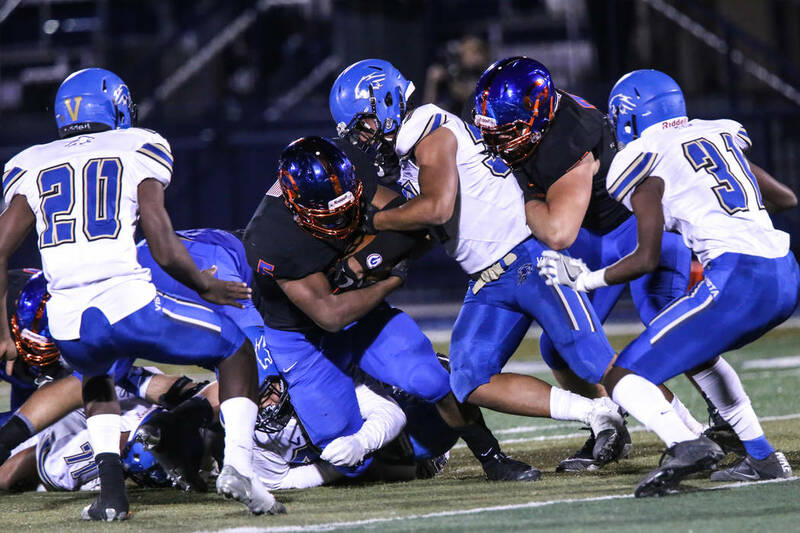 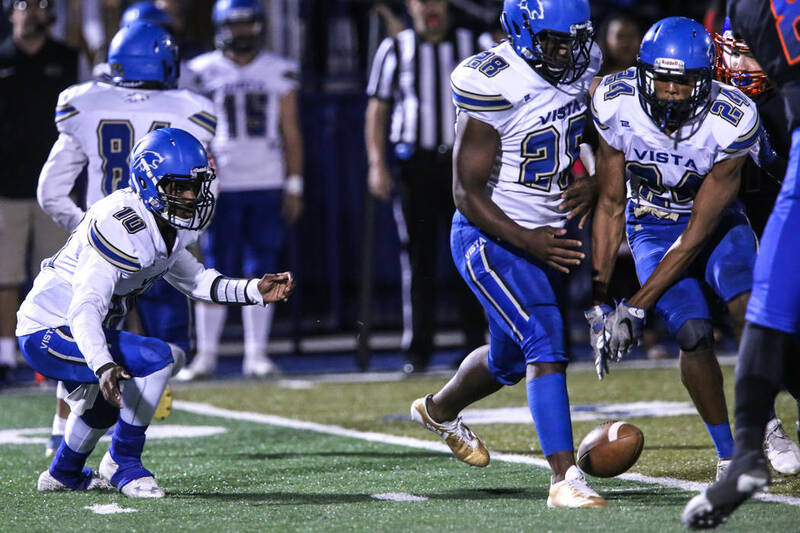 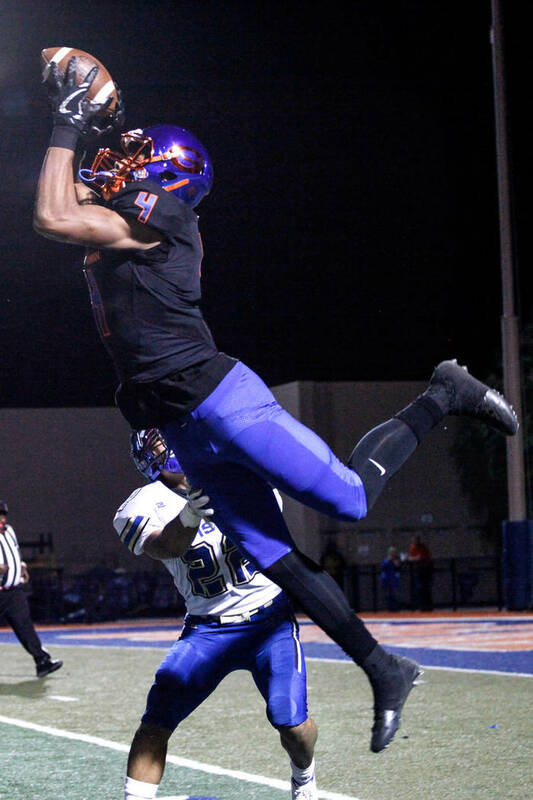 Linebacker Jeffrey Ulofoshio, who blocked a punt Thursday, said Gorman defensive players challenged themselves to be better after concluding the national nonconference portion of their schedule with victories over DeMatha Catholic (Md.) 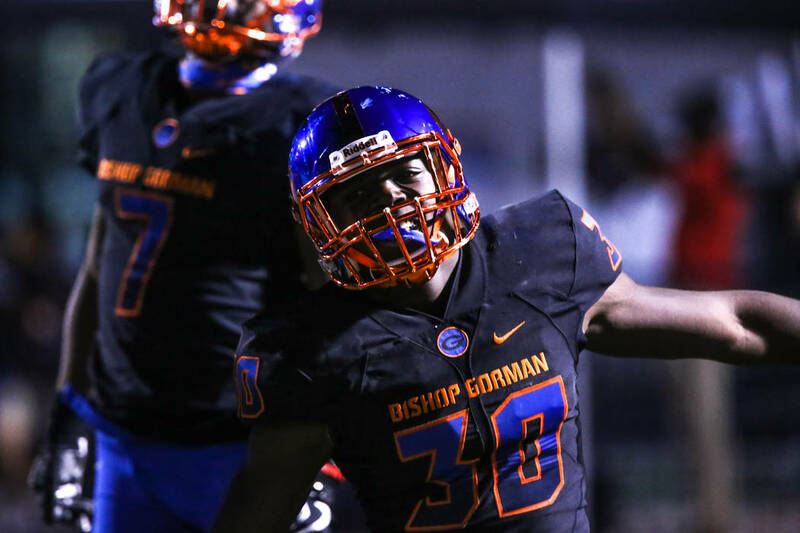 and De La Salle (Calif.), and losses to Mater Dei (Calif.) and Miami Central (Fla.). 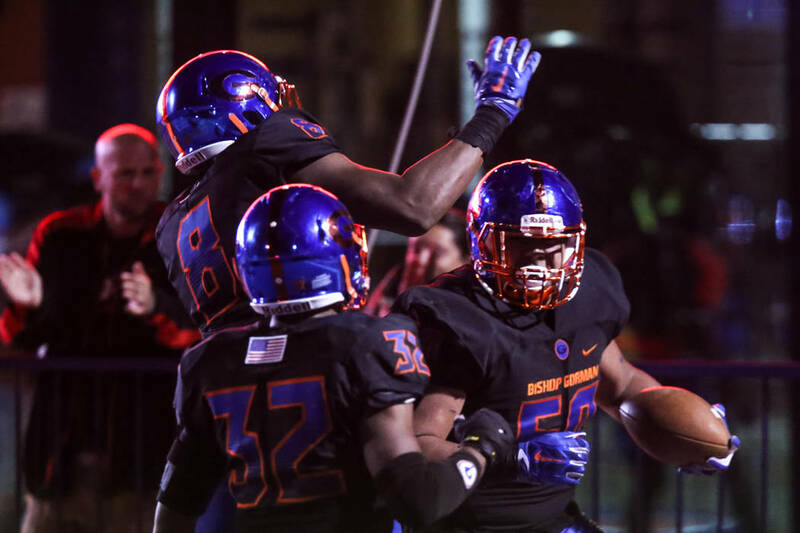 So they unleashed their frustration on the conference counterparts by outscoring them 339-0 over the course of the six-game slate. 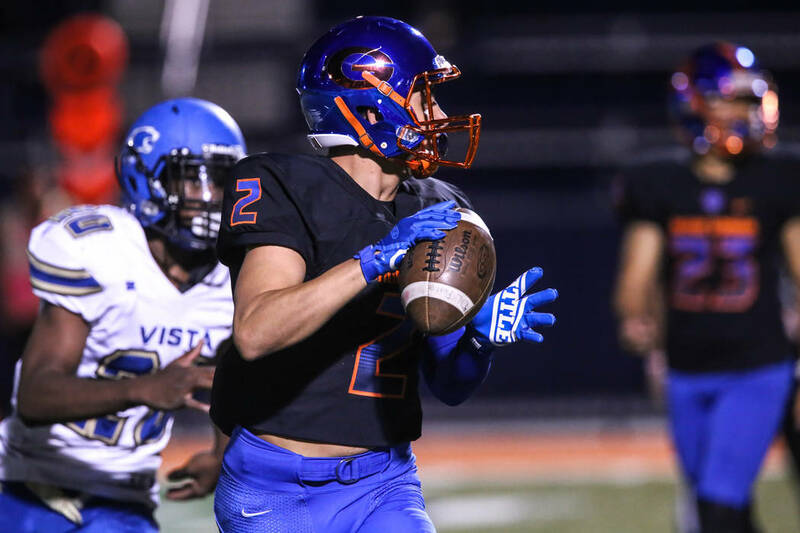 Sierra Vista (6-2, 5-1) had a chance to snap the streak late in the fourth quarter against the Gaels’ reserves, and Mountain Lions running back Bryan LaGrange almost ran for a touchdown before being tackled by his shoelaces near midfield. 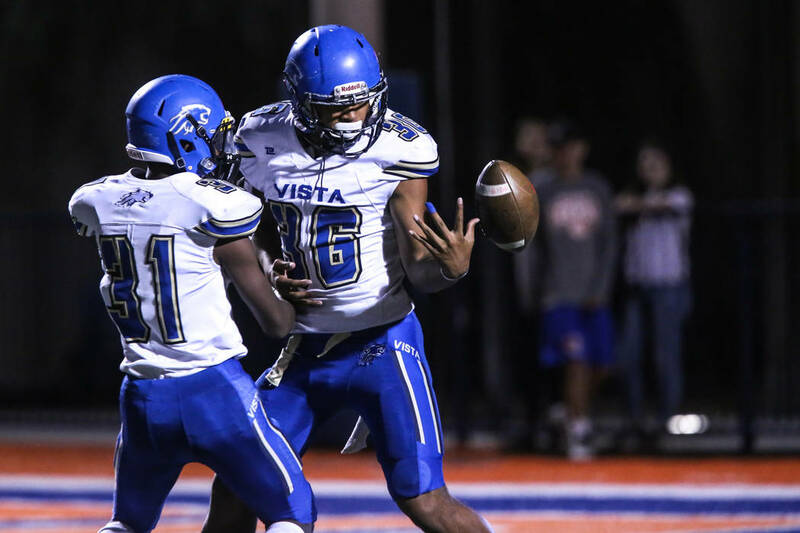 A first down here, a first down there and suddenly Sierra Vista was in field-goal range. 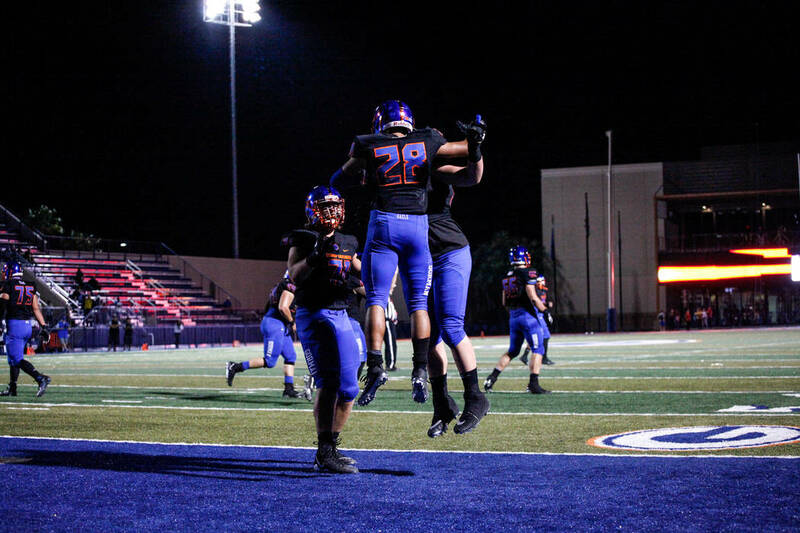 But Gorman’s starters re-entered the game, buckled down and blocked a field goal in the final minute, triggering a joyous celebration from fans and players. 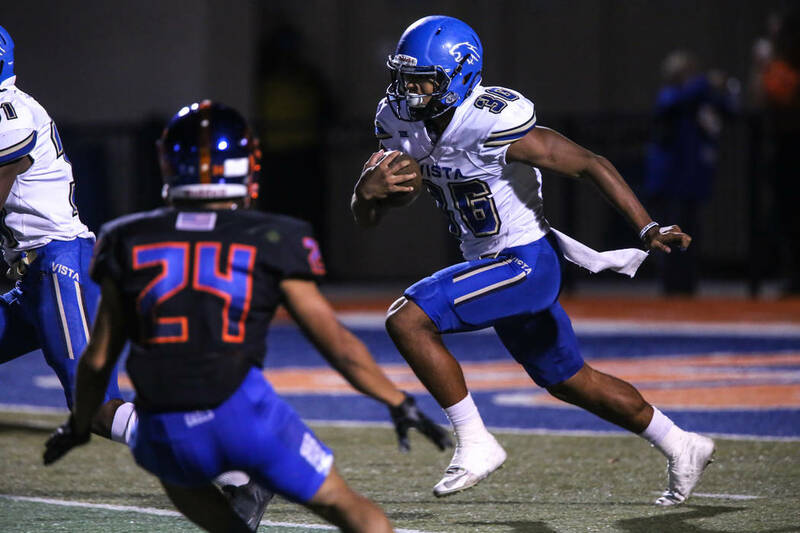 Thompson-Robinson finished with 201 passing yards and long touchdown passes to wide receivers Cedric Tillman and Jimmy Telles. 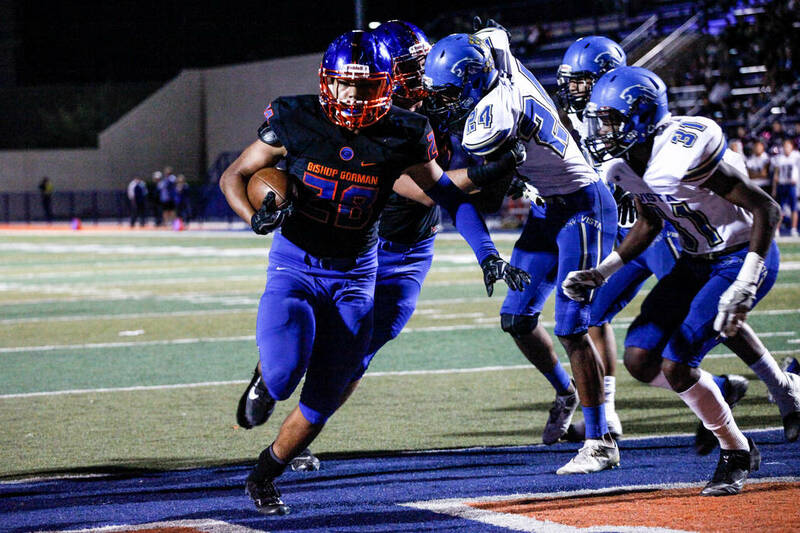 Cianelli had 80 rushing yards on 15 carries. 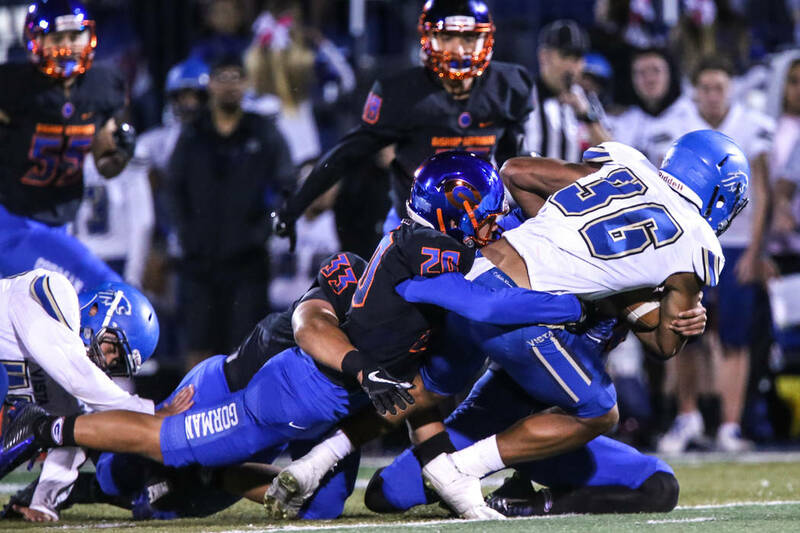 The Mountain Lions finished with 86 yards of total offense, and Sanchez was pleased to win another league championship.